Giada is a Human Rights Analyst at Harm Reduction International. She monitors trends on violations of fundamental rights committed in the name of drug control and coordinates advocacy with partners around the world on relevant issues. Giada holds a law degree from the University of Torino (Italy), and an LLM in Human Rights, Conflict and Justice from SOAS (University of London), and is a member of the Advocacy Coordination Working Group of the World Coalition against the Death Penalty. 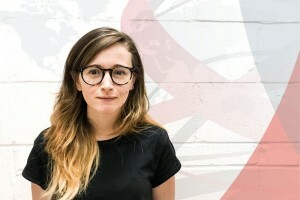 Giada joined Harm Reduction International in April 2018. Prior to working at Harm Reduction International, she undertook research and policy analysis for the Economic, Social and Cultural Rights team at the International Secretariat of Amnesty International; worked in Guatemala with a local NGO promoting indigenous peoples' rights; and, worked at the SOAS Human Rights Clinic on access to justice. In mid-2017, Giada published a book on transitional justice titled Understanding Transitional Justice: A Struggle for Peace, Reconciliation, and Rebuilding.